Prowler Proof security doors and window screens are Australia's best looking and strongest performing screens. Prowler Proof is Australia's only welded security screen…and the only security screen made in a world class fully automated factory. These two facts combine to make Prowler Proof a superior product at a competitive price. 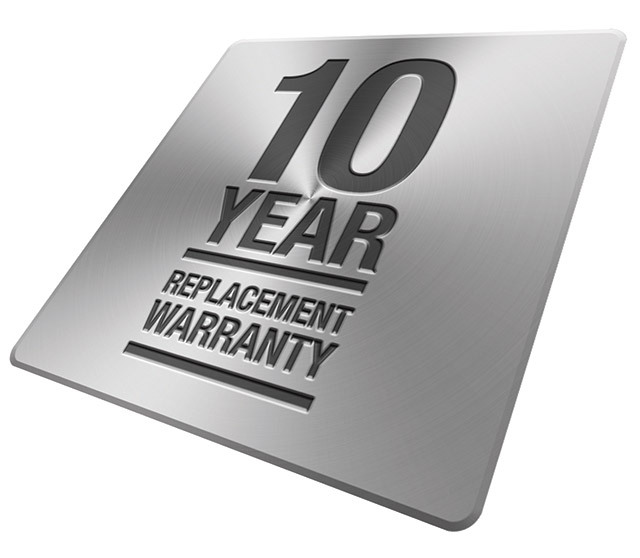 We are the only security screen manufacturer in Australia to offer a 10 year replacement warranty. You will quite simply get a new product if your Prowler Proof product shows defects in workmanship or materials within 10 years from the date of manufacture. No ifs, no buts…no paperwork. Prowler Proof is a 100% Australian owned and operated family business. We have manufactured high quality security doors and window screens since 1984. Prowler Proof manufactures Australia's best residential security screens in Australia's only world class manufacturing facility. Produced in a computer controlled hi-tech environment, Prowler Proof costs no more than old fashioned security screens with screws or rivets, put together by hand. Still Prowler Proof is stronger, looks better and offers better corrosion protection than any other security screen. You don't have to take our word for it: Prowler Proof has passed every conceivable test with flying colours and all test results are available right here on our website. When you choose Prowler Proof, you know you've made the right choice in 'creating a safer place' for your family. A welded security screen is stronger…and looks better! The main difference between Prowler Proof and other security screens is that all Prowler Proof products have a fully welded frame. A weld joins two parts together, a screw or a rivet merely hold two parts together. A weld can actually be stronger than the parts joined…and it looks better than screws or rivets, too. With its seamless welded corners a Prowler Proof security screen looks like it's made in one piece. It feels that way, too. You will immediately notice the difference when you compare Prowler Proof with a product that is held together by screws or rivets. Prowler Proof feels stronger because it is stronger. Whenever two different metals interact, there's a risk of corrosion. With no screws or rivets to penetrate the frame and the mesh in order to keep them together, this risk is eliminated in a Prowler Proof security screen. Another huge advantage of a welded security screen. Prowler Proof products meet or exceed all relevant Australian Standards…as well as some even tougher international standards. These tests include simulated burglar attacks with a knife, a screwdriver, cutting pliers…kicking and pulling. No match for ForceField®, Protec or any Diamond product. Imagine being hit by 5 steel bullets less than a centimetre in diameter at 170km/h plus. Or a 4kg timber block at more than 100km/h. That is what is required by the Australian Standards Cyclone Test and Prowler Proof ForceField® passed with flying colour. ForceField® has also passed the American Standards Hurricane Test. 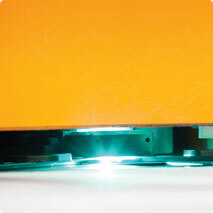 The Prowler Proof warranty is Australia's only replacement warranty. Instead of a repair job, you will get a brand new product. It's easy to claim. Use the online form and we'll respond by the next business day, if not before. The moment your Prowler Proof product leaves our factory, you're covered by the warranty. You don't even need to keep your receipt - all productshave a serial number that we can track in out system. Prowler Proof products are made to last. We expect that you'd look after your Prowler Proof product like you would any other major investment, but we have no rigorous cleaning schedules laid out. Have a look at our Care and Maintenance guide, to find out how to best care for you Prowler Proof screens.